Additive manufacturing (AM), also called 3D printing, is a process used to create three-dimensional parts from a digital file. It usually involves building up, or solidifying, thin layers of material to create complete parts. The technology is able to produce complex shapes which cannot be produced by traditional techniques. Additive manufacturing introduces a new design to combine mul-tiple components in production, minimize material use and reduce tooling costs. 3D printing was firstly introduced into China 30 years ago by professor Lu Bingheng, Academician of Chinese Academy of Engineering. For decades, Prof. Lu and his group have focused on the innovation researching work in micro/nano manufacturing, biological manufacturing, and high speed cutting machine research fields, re-searched nanoimprint technology firstly in China, and made a great breakthrough in ultraprecision metrological grating technology. In biological manufacturing field, they have developed individualized matching artificial bone and bioactive artificial bone, which has been applied in clinical applications. 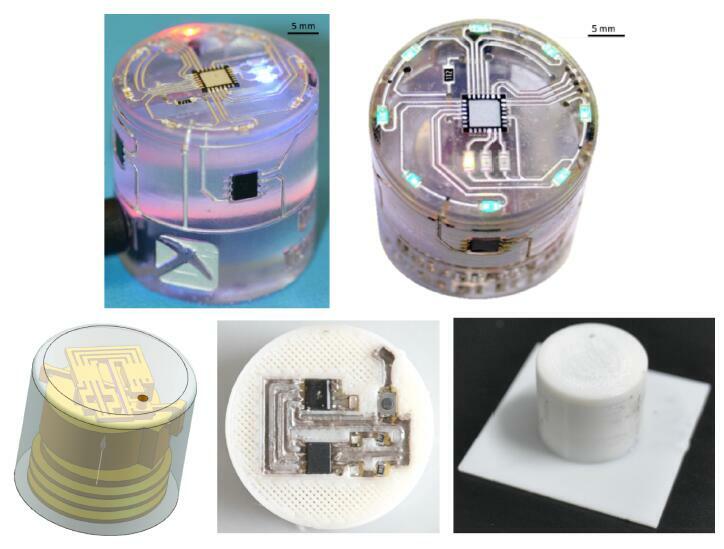 A comprehensive review of recent advances and sig-nificant achievements in 3D printing electronics is pro-vided in the Opto-Electronic Advances. The prospects, challenges and trends of 3D printing electronics are dis-cussed, and some promising solutions for producing electronics with 3D printing are presented. Prof. Lu Bingheng is the earliest engineering academician in the field of 3D printing in China, and he is known as "the father of 3D printing in China". Prof. Lu is the director of the National Engineering Research Center of Rapid Manufacturing, the convener of the State Council Mechanical Subject Review Group, the deputy director of the China Mechanical Engineering Society and the vice director of the China Machinery Manufacturing Technology Association. Lu B H, Lan H B, Liu H Z. Additive manufacturing frontier: 3D printing electronics.Opto-Electronic Advances1, 170004 (2018).